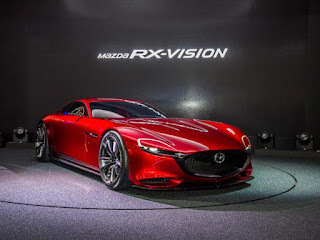 Mazda has just released their latest concept in their iconic rotary engine saga, the RX-Vision. 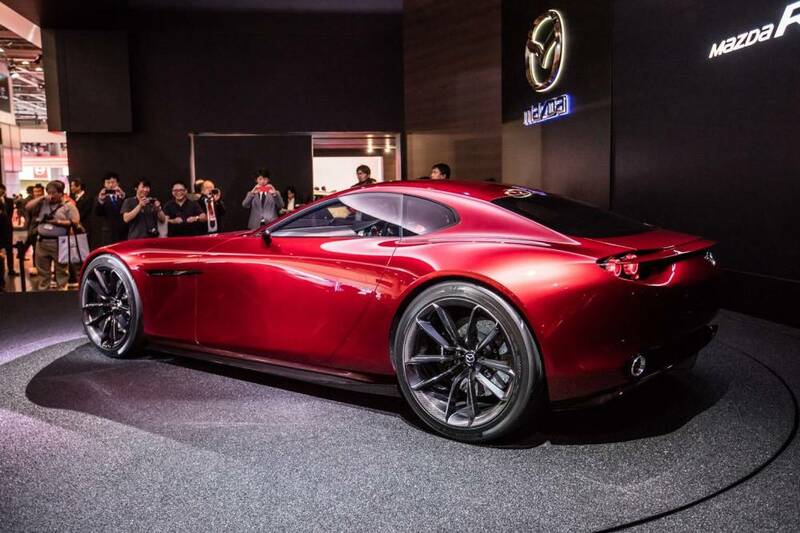 Bringing back the historic features of the last two seater rotary engine powered sports coupe that Mazda released in the form of the RX-7. As we all know the RX-8 was a four seater, although it was powerful and attractive it didn't do justice to its successor to the RX-7. As we would say, the Vision will bring balance to the force... literally. The RX range carries the same formula as always with a front mounted engine and rear wheel drive. But bringing back the two seater configuration will ultimately bring back the handling that was seen in the RX-7. The rotary power plant is an engineering marvel as it can produce up to 160kw of power from a 1.3 litre engine, this is from the turbo charged version in the RX-7 and went up to 184kw in the RX-8. We can only imagine what the RX-Vision has in store for us. The only issue is the pricing. With all the research and technology in the RX-Vision we might see a higher pricing plan for this release of the rotary powered beast. But for the enthusiasts out there I'm sure it won't be a problem. The 2-seater option is really starting to sound good and like you said, for the enthusiasts, where there is a will, there is a way. AND there is also always car financing for this sort of thing too! Haha!